Indie folk singer/songwriter duo Penny & Sparrow formed in 2011 while members Andy Baxter and Kyle Jahnke were living as roommates at the University of Texas in Austin. Inspired by acts like the Swell Season, Bon Iver, and Mumford & Sons, the two friends began writing and singing together, creating simple acoustic arrangements and recording on a laptop. Their first effort, a three-song EP called Creature, introduced the warm, sincere balladry that would become their calling card. Their debut album, Tenbloom, arrived in 2013 and found their arrangements expanding slightly in scale. Their follow-up, Struggle Pretty, was released a year later, adding lush orchestral layers to their ever-evolving sound. The acclaim and attention garnered from these two independent releases ushered in a record deal with Single Lock Records, an Alabama-based label co-founded by John Paul White (the Civil Wars) and Ben Tanner (Alabama Shakes). Both White and Tanner would end up co-producing Penny & Sparrow’s 2016 label debut Let a Lover Drown You. 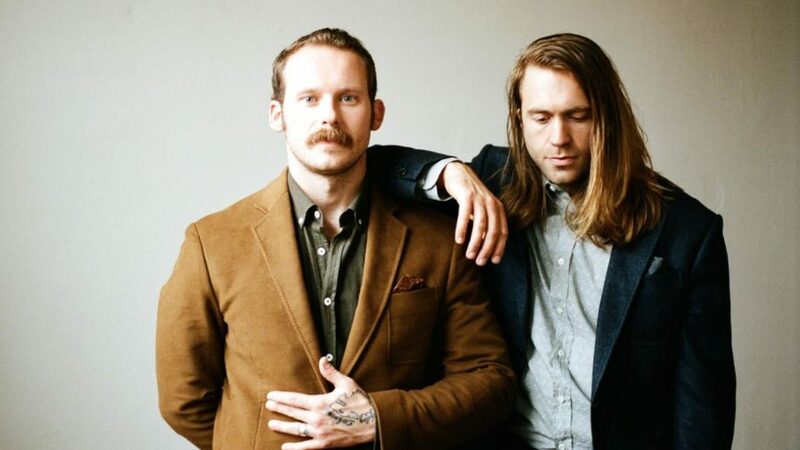 A holiday set called Christmas Songs appeared later that year, Penny & Sparrow wrapped up sessions for their third LP, Wendigo, which was released in the summer of 2017.